World Nutella Day: Creative Mondays Link Up. Also, Happy World Nutella Day. I do love a toasted cinnamon bagel topped with lots of Nutella on top. Yummy!! Do you love Nutella too? Do you have any Nutella recipes to share here today? I hope you have all had a lovely weekend? We have not been too far this weekend as my Son is still recovering from flu. Not good. It really knocked him off his feet and is so weak and fragile at the minute. I am so pleased you have stopped by to join us for this week’s Creative Mondays link up today. An amazing 146 posts were shared here las Monday. Grab your favourite drink and link up your creative/crafty/stylish posts with us today. Have fun hopping around this linky list finding amazing, inspiring and creative posts at this week’s party. I love polka dots and how beautiful does Shauna’s from Lipgloss And Lace, outfit look!? You can see the full outfit here: Pink Pop. 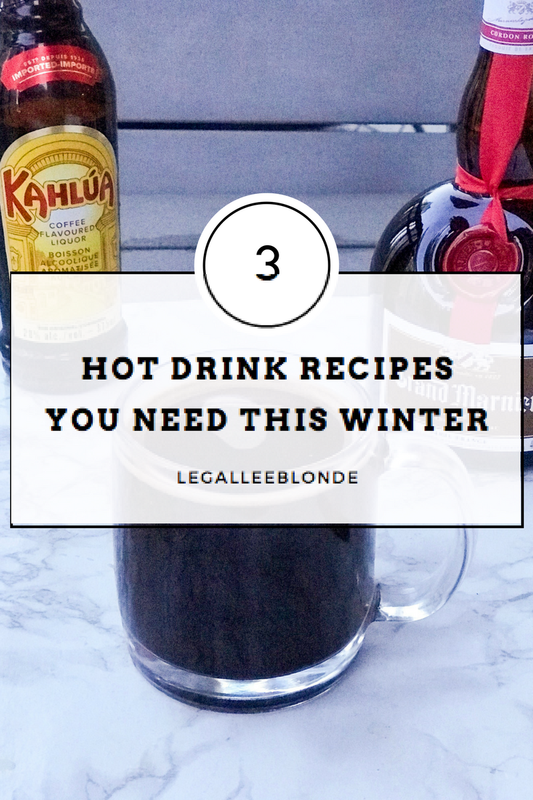 Lee from LegalLee Blonde shares 3 HOT DRINK RECIPES YOU NEED THIS WINTER but which one to try first? They all sound tasty. 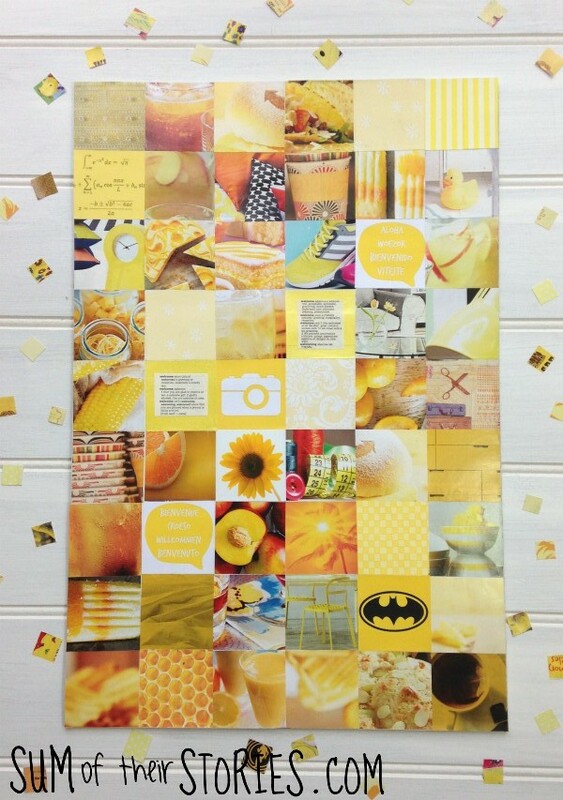 Julie from Sum Of Their Stories shares this neat art Recycled Magazine Art. 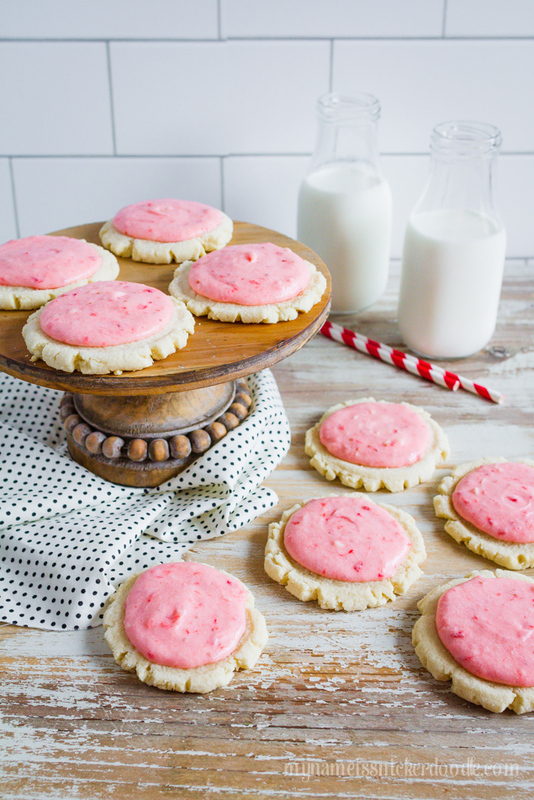 These Strawberries and Cream Sugar Cookies from Kelli and Kristi over at Lolly Jane’s look delicious. I could just one or maybe 3! You can find the recipe here: Strawberries and Cream Sugar Cookies. 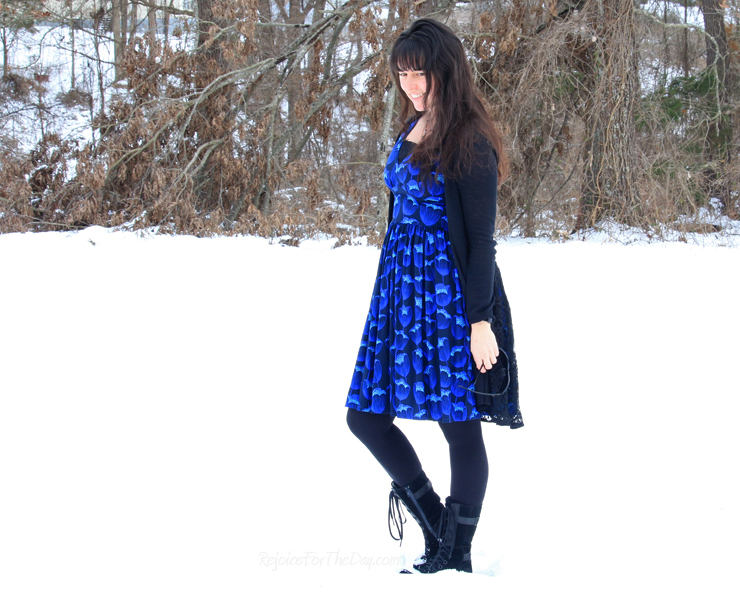 How beautiful is this homemade Winter Tulip dress? I love to sew but could never make anything as beautiful as this. The Winter Tulip Dress. Catherine from Smashing Plates Tablescapes Winter table setting look’s beautiful. Anyone else Feelin’ Frosty? 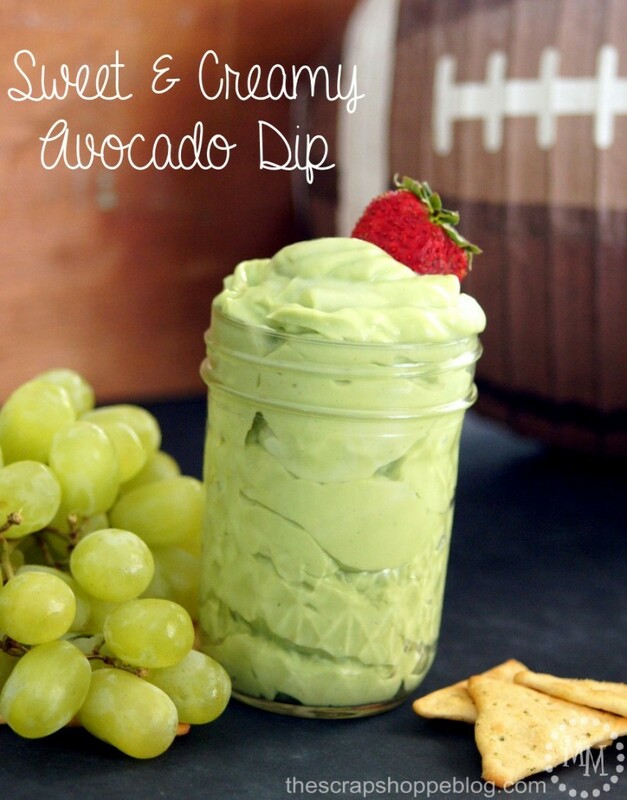 This Sweet & Creamy Avocado Dip Recipe by Michele over at The Scrap Shoppe looks so tasty. I love anything with avocados in it. Sweet & Creamy Avocado Dip Recipe. Blogging friends Laurie and Ashley got together for a fun photo shoot that was so much fun. I really wished I live nearer to a fashion blogger. I could do with someone taking my outfit pictures and vice verser. You can find Laurie’s post here: Photoshoot With A Blogger Friend! 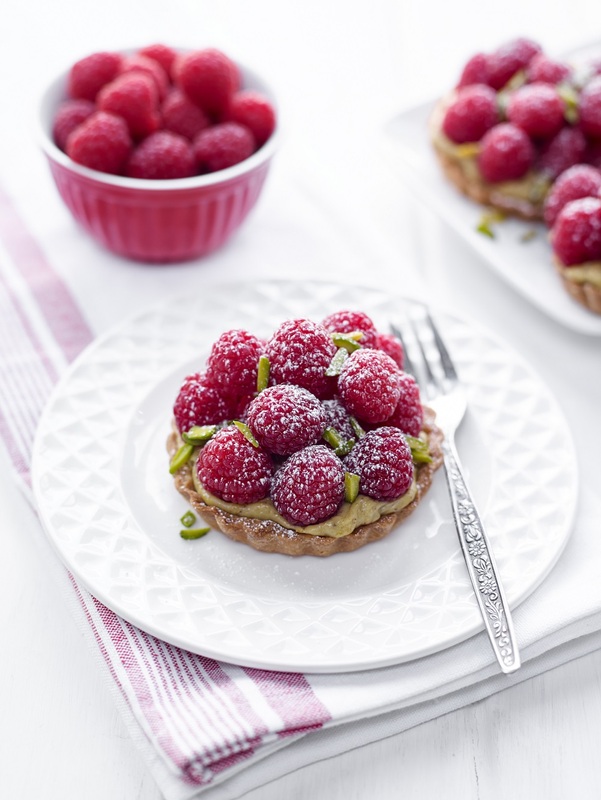 Fancy making some of these BerryWorld Raspberry and Pistachio Tarts? It would be great if you would follow along in some way. Let me know if you do so I can follow you back too. Please tweet me any links you have added to the link up to me @clairejustineo using the #Creativemonday hashtag and I will favourite, retweet and reply. By joining this Creative Mondays Blog Hop, you are giving me permission to maybe share your photo here next week as a featured post. Please leave me a comment below if you do not wish to be featured. This Creative Mondays Linky List Has Now Closed. "Gnocchi alla Trapanese For Dinner Tonight?" "Raspberry Crunch Sundae A Yummy Breakfast"
Lovely recipes Lee 🙂 Thanks for joining us. I love all of your featured posts…those sugar cookies are making me hungry!! Thanks for hosting, and have a great week! Thanks for stopping by Shellbee. Oh no 🙁 sorry to hear about your Daughters reaction to hazelnuts. Happy Monday, Claire! I'm sorry your son is still not well. Some of the bugs going round at the moment really do knock folks off their feet. Thank you for hosting. I'm sharing a really yummy oatmeal recipe full of seasonal flavours. It's a great way to start off any day plus has no refined sugars and it's gluten free! Well, if it's world Nutella day I must make something with Nutella today! My middle son hates peanut butter but discovered Nutella a few years ago and is crazy obsessed with it. So many great features! I can't get my act together this morning to post anything but I'll enjoy reading your posts! LOL-And I had some peanut butter on a bagel this morning. Thanks for hosting and I hope you have a wonderful Monday. World Nutella day!!! Who knew? Too bad, I will have to try again next year!! Thanks for hosting Claire and enjoy the week. I haven't been to creative lately, but I wanted to stop by and say "hi"! Have a great rest of the week! I'll be visiting here again soon for your weekend linky!- Natalie A.